Situated in the department of Vaucluse , crossed by the Nesque, Pernes-les-Fontaines is classified among The most beautiful detours of France , thanks to its rich architectural heritage, traditional and human. It is very well named because it has 40 public fountains and more than a hundred private fountains. 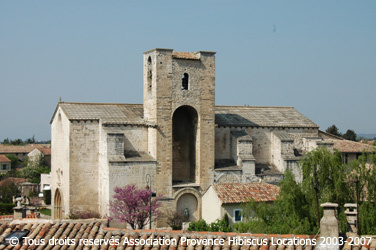 Pernes was the capital of the Comtat Venaissin in the old days and bears the surname of “ Pearl of the Comtat ” at the present time. 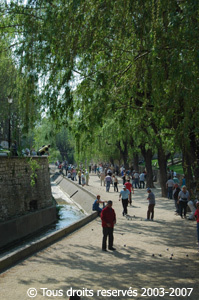 The village has grown steadily and today has more than 10,000 inhabitants and many historical monuments. It is a small fortified medieval town with 22 sites listed or classified as Historic Monuments , 40 public fountains, 13 chapels, mills and curiosities, and 7 public gardens. 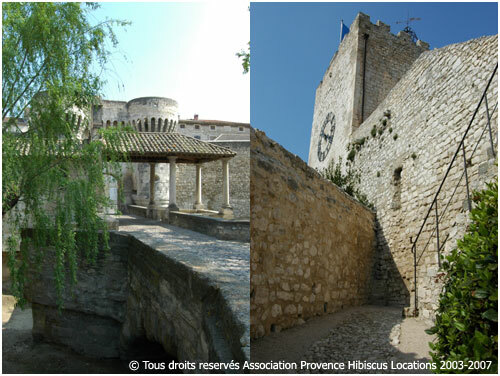 Its ramparts include numerous doors such as the Notre Dame Gate dating from the 16th century or the Porte Neuve. The Rectangular Tower of the Clock (IMH), dungeon of the 12th century of the old castle of the counts of Toulouse with a clock and which offers a Nice point of view. 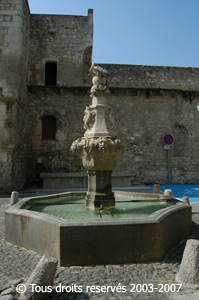 The Ferrande Tower dating from the 13th century. The church N.D. of Nazareth of the eleventh century. The course of the 40 Fontaines. 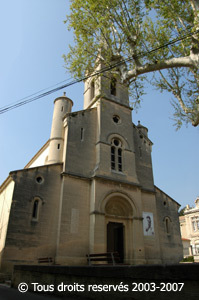 Carpentras-Pernes-les-Fontaines aerodrome. Moto-cross international. Fishing, hunting, horse riding, walking, horseback riding, mountain biking.